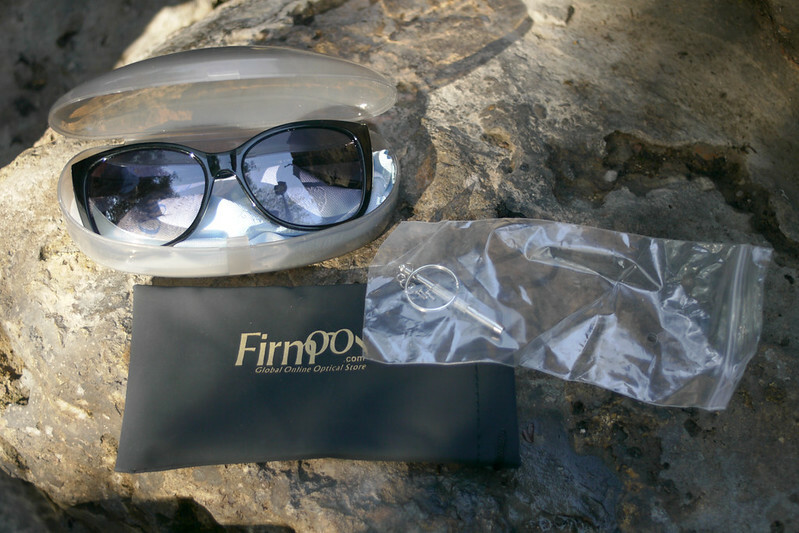 As most you of probably already know I was in Paris this past week and it was the perfect opportunity to try out my new pair of sunglasses graciously provided to me by Firmoo. I chose a pair of Black framed RX sunglasses with gold detail on the sides. They are not currently available on the Firmoo website but I will link them as soon as they are available again. They were $40 which works out at approximately €31 or £25. 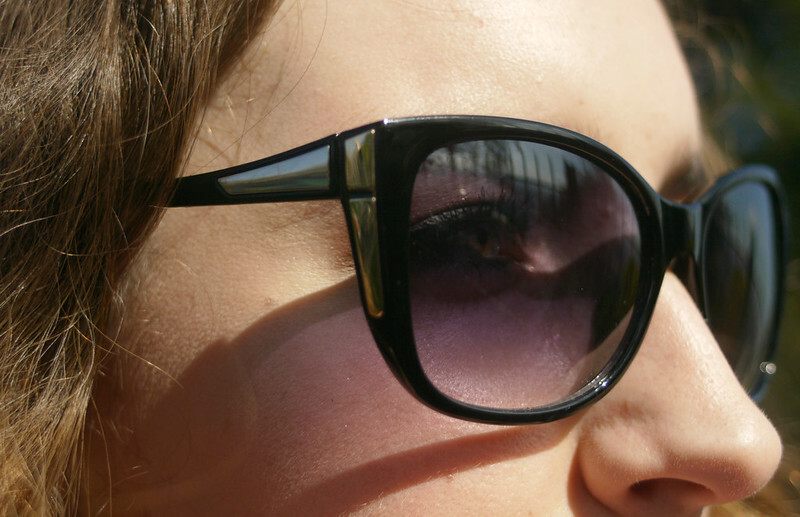 I really love these sunglasses, they are big enough to protect your eyes from the sun during those really sunny days in the Summer. The case they came in is not as sturdy as the one that my previous ones came in, but I do like to buy my own cases for my sunglasses anyway, I have a leopard print case that I tend to use most of the time for my bigger sunglasses because it's easy to spot (pun not intended!) in my bag. 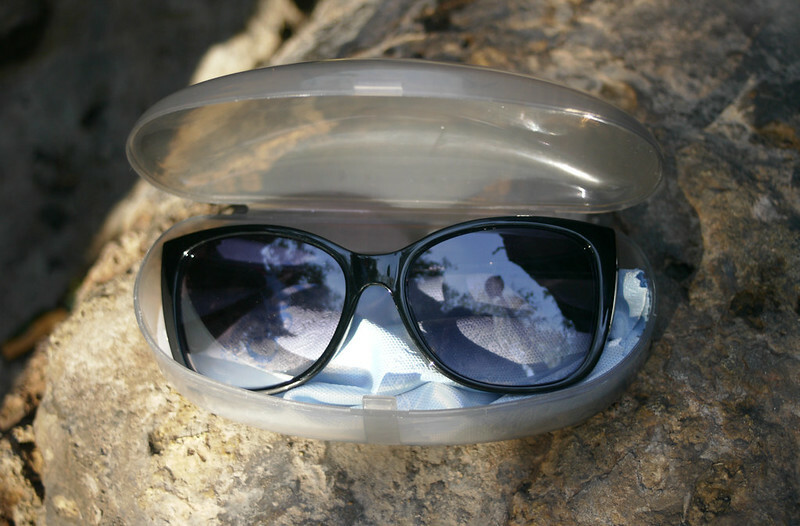 Like with the previous pair, this pair came with a cloth to clean the lenses and a little contraption to tighten the screws. It's $15.75 for express courier shipping to the UK and Ireland which works out at €12/ £10. 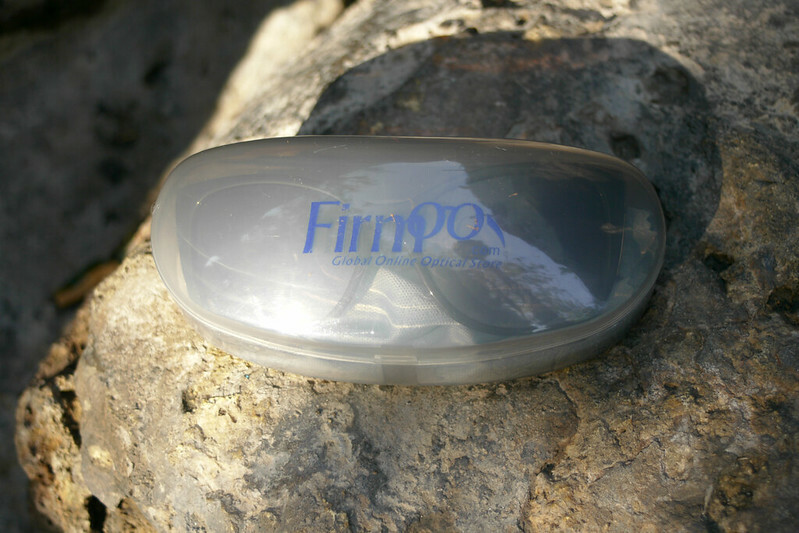 What's really great about Firmoo is they offer a free pair of glasses/sunglasses for first time buyers and all you do is pay for shipping. This is such a great offer especially coming up to Christmas if you're looking for gift ideas. You can find a list of countries they ship to here. Check out their Facebook for regular updates and photos from customers. ***The sunglasses were provided to me by Firmoo free of charge however all opinions are 100% honest and my own. 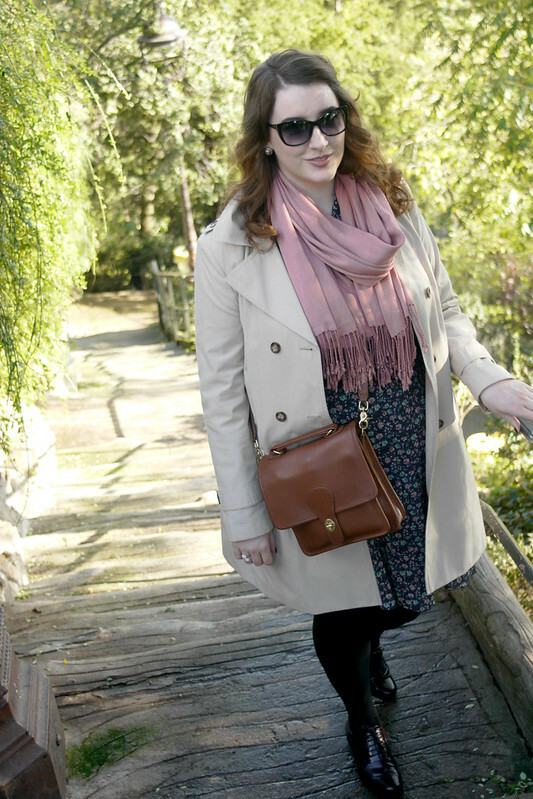 Those sunglasses look great on you, Emma, and I'm so happy to see these pictures of you layered in smart clothing and accessories. I hope you enjoyed your weekend, dear friend, and I wish you a happy week ahead! tom we must have been writing comments on each other's blogs at the same time! Yes I had no choice but to be practical with all the walking around and it was a lot colder than I had anticipated! I look forward to sharing with you more photos from my trip! Thanks emma! I love them! oooh i like those sunglasses very much. They look gorgeous on you! Thank you! I'm very impressed too! free glasses?! What an awesome deal! I will for sure be checking their site out. These sunnies look glorious on you :) I have such a small round face which makes it hard to find sunglasses that dont make me look like a bug eyed dweeb. You however dont have this problem and thus look stellar in these shots (as always). No I'm pretty sure my face can carry the largest of sunglasses, that being said I'm so picky about what styles I like on me! You lucky lady. 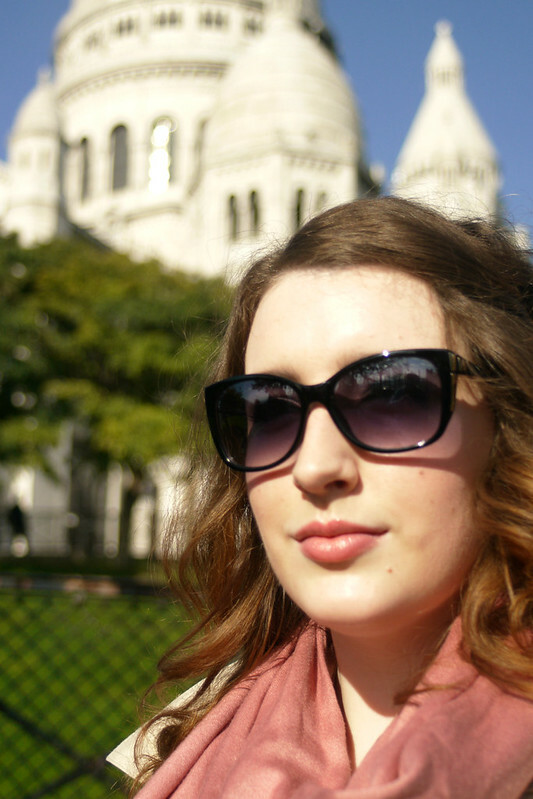 So glamorous with your free sunglasses at The Sacre Coeur! What I am also so impressed about is how you managed to get pictures on that slope without getting scared off by those annoying men trying to sell you braided bracelets! Where they there? They never take no for an answer,I used to get so angry with them everytime we went there. Hehe. They must have changed their braided bracelets for mini eiffel towers! They were so annoying! And they also had those things you throw in the air that light up, I can't tell you how many times they almost hit me in the head! I like those glasses a lot! And thanks for your comment, sweet girl. I also love the color of your scarf! I hope you try plantains soon! Let me know when you do! They are sweet kind of like bananas! Thanks Emma! I can't wait to share the photos with you all!